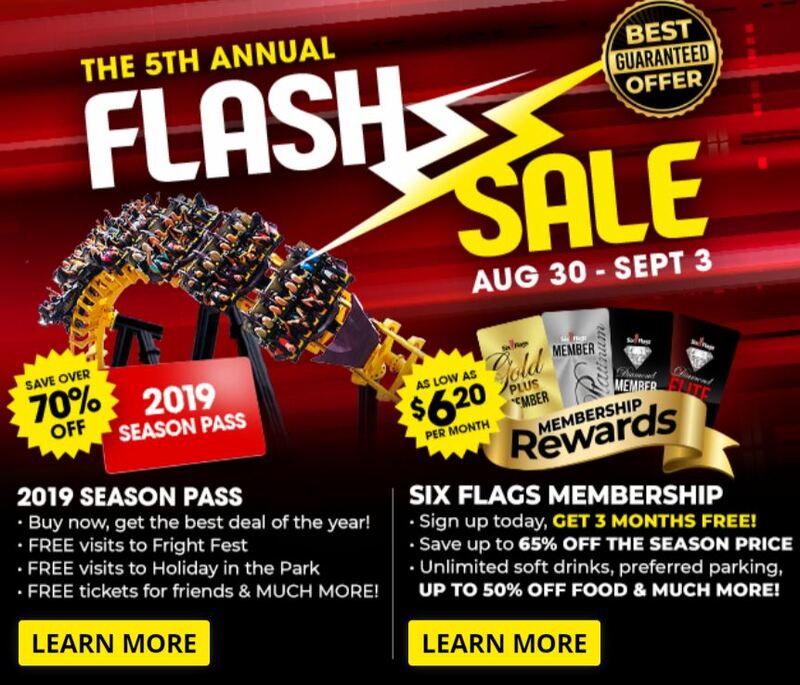 CHEAPEST SIX FLAG TICKETS POSSIBLE!! 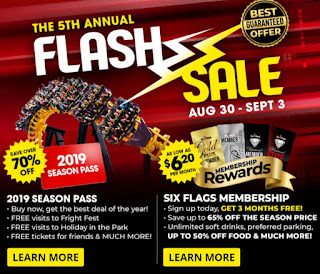 Six Flags Theme Park Passes Sale, Lowest Price These Ever Get: Full 2018 and 2019 Season Passes (Valid For Both Years) + Free Parking Passes Only $53.99 - $81.99 Per Ticket, Price Varies By Park Chosen. Includes Unlimited Visits For 2018 and 2019, Free Parking, Free Gold Level Upgrade, Free Hurricane Harbor, One-Time Skip The Line Pass, Bonus Holiday Ticket For Friends, Food Discounts and MORE. If you plan on going anytime for the rest of this year or next year this is a no brainer. Guaranteed to be the lowest price, they never get lower than this sale!